I wonder... if the 3 Bears had decided on Bircher muesli instead of porridge would they have left their house, bringing about a home invasion and chaos? 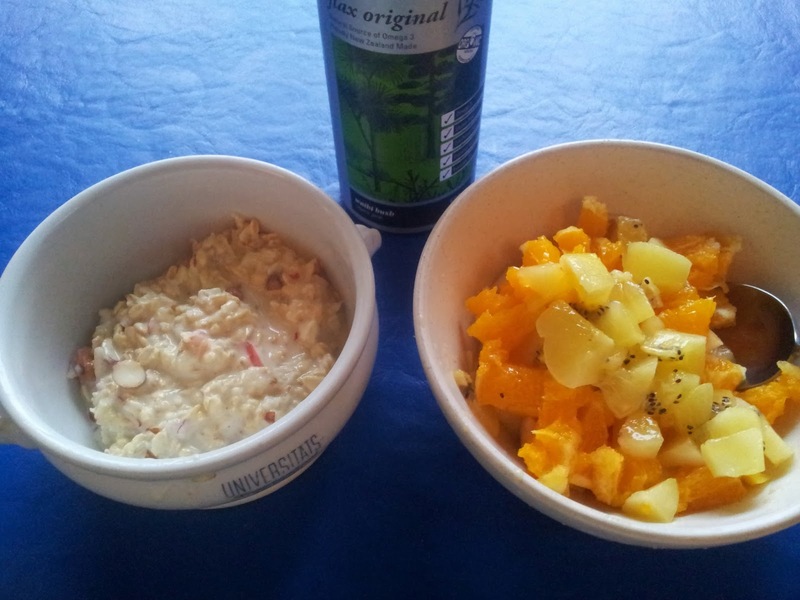 Bircher muesli originates in Switzerland and is made from soaked porridge oats. It's an especially delicious breakfast option for summer with fresh fruit. Best of all, it doesn't have to be cooked at all. The soaking prepares the oats for efficient digestion that's easy on your system. 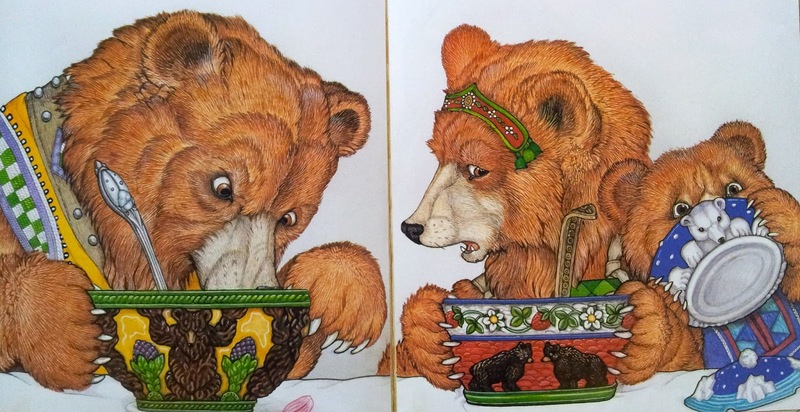 illustrations with lots of woodland plants and animals referenced - a visual feast. This book was gifted to my son Francis when he was 2 - now 26! I like to use jumbo or whole grain oats because you get more texture, but if you want a softer or mushier mix then use rolled oats. You need to start the night before you plan to eat the breakfast. This recipe is for 4-6 people. 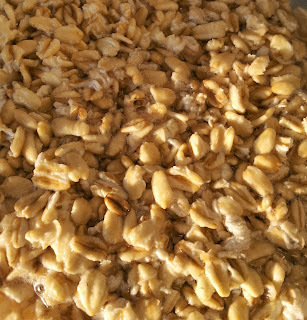 This is what the whole oats look like after soaking overnight in milk. In a separate bowl soak a handful of almonds or walnuts overnight. Like grains, if soaked, the goodness in nuts is made more easily available for your body. The water will turn brown due to tannins in the skin. Roughly chop the drained nuts. (Discard the soaking water). 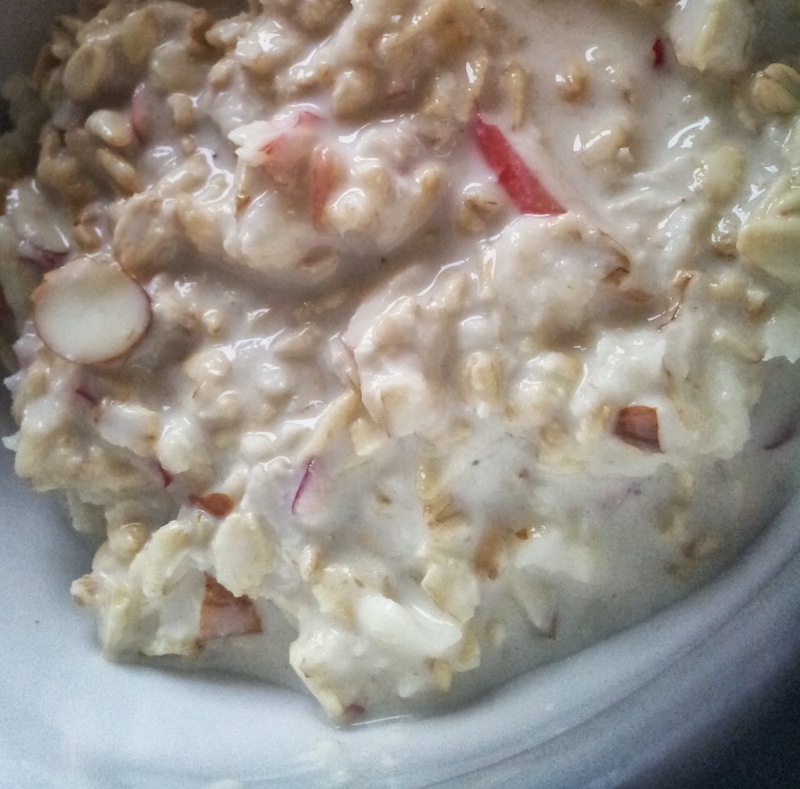 The finished Birchers Muesli creamy with a crunch of the nuts and the freshness of the apple. 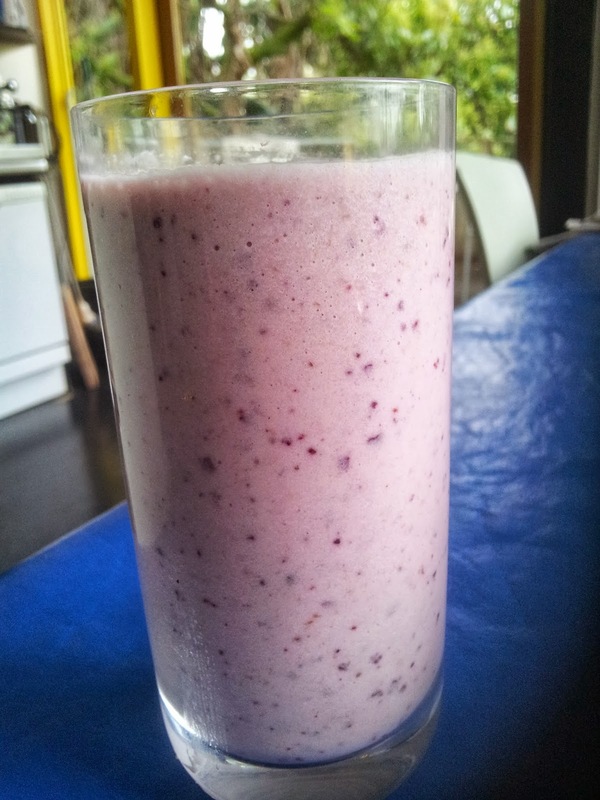 I serve this with a mix of chopped up fresh fruit and a slurp of Flax seed oil. But you can be creative as you like with the fruits you choose or added seeds and nuts. 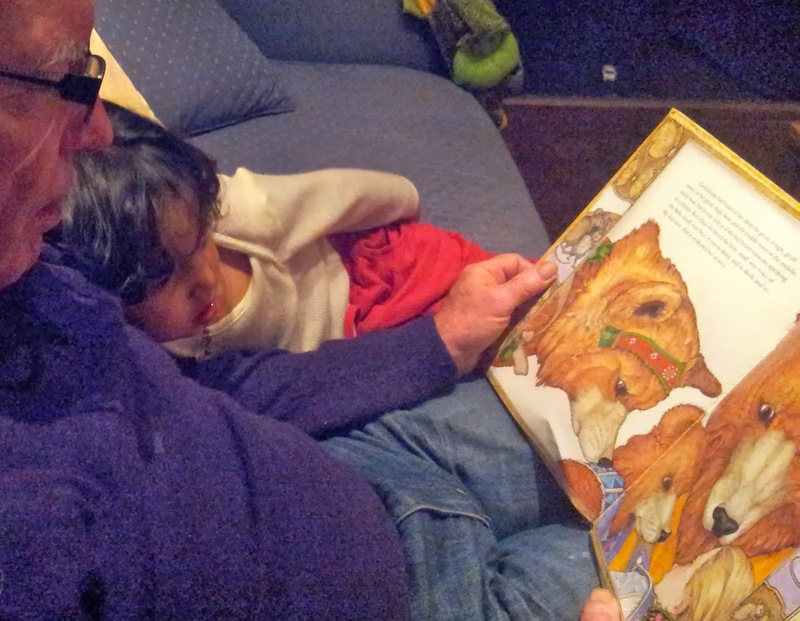 I was surprised when my daughter Tansy said young Beau had a taste of the Birchers Muesli and really liked it. Being a 3 year old he is quite conservative with his breakfast usually preferring Weetbix or an egg. It's worth considering offering Birchers muesli to children for breakfast. 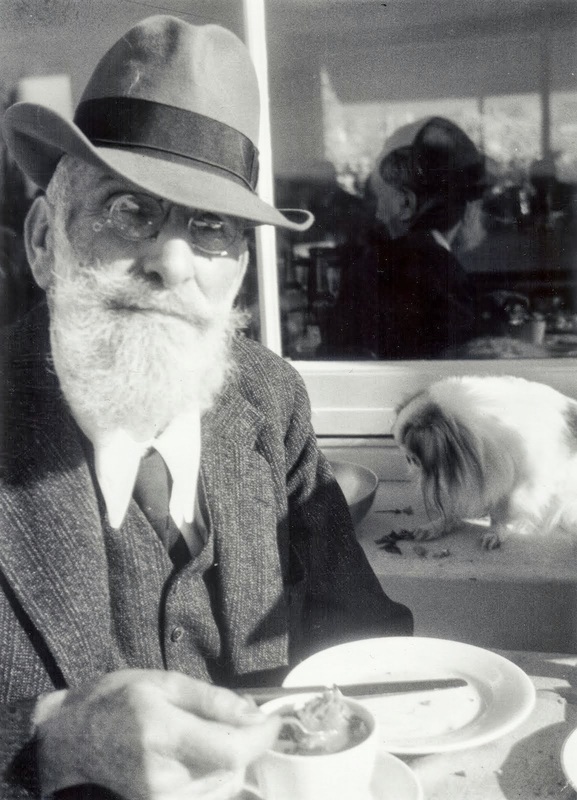 Dr Maximilian Bircher-Benner, a physician based in Zurich in the 1900's put Birchers muesli on the map. As is the way with many recipes he didn't come up with the idea from scratch. While hiking in the Swiss mountains he came to rest at an alpine hut and was offered by a local woman a delicious and reviving dish of grated apple, mixed with soaked oats, lemon juice, condensed milk and almond meal. He realised this was the dish he needed to get his patients eating more fruit. Dr Bircher-Benner eating he muesli before he evening meal. because the apple aided digestion. Dr Bircher-Benner became increasingly interested in Naturopathy. He saw that food could help cure some of the ailments his wealthy clients suffered from. He set up what became a world famous sanatorium in Zurich where patients would partake in a diet high in fruit, vegetables, nuts and grains and he encouraged regular exercise. Birchers Muesli was a tasty way of getting them to eat fruit. This regime was seen as controversial by his peers in the 1900's so he was indeed a man ahead of his time. No need to limit this dish to breakfast - it's a most satisfying snack during the day. It will keep for a couple of days in the fridge so it's worth while making the quantity I have suggested. This is an ideal "breakfast on the run" using soaked oats. I make this recipe using whatever fruit I have but I will give you the original Hugh Fearnley-Whittingstall recipe. You can use a blender or a stick blender to mix. Males 2 large glasses. This is the sort of recipe you can really have any combination of fruits. The banana gives body but you could reduce to one banana and add other fruit. It's particularly tasty with a handful of frozen berries. And try to find All Good Bananas that deliver a fair deal to the growers and have less harmful chemicals than other bananas on offer. Another addition I make is to add 2 Tbsp of whey protein powder to make this a truly power breakfast. You can choose to replace milk for fruit juice but keep those soaked oats they make the shake thick and rich and you get all those nutrients from oats. Frozen fruit or ice cubes make the drink lovely and cool. One of the important benefits of soaking oats before cooking or eating raw is to ensure the gluten is partially broken down making gluten easier to digest. And how about this for an incentive? You could avoid your "digestive mechanism breaking down with age or overuse, resulting in allergies, mental illness... chronic indigestion and candida albicans overgrowth." It's not just oats that need soaking, all grains should be soaked before cooking including corn, quinoa, barley and wheat. there is folklore about the value of oats. It is stated that strength, endurance, energy, beauty and perceptiveness are gained by those who regularly partake of oats (soaked of course).